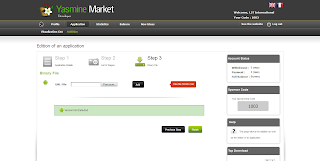 Yasmine Market - ياسمين ماركت: How to apply an Android App on Yasmine Market? 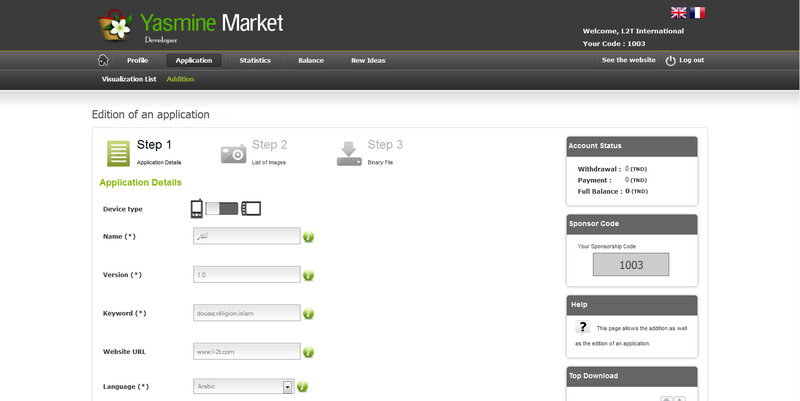 To apply an Android App on Yasmine Market, you have to go to the heading Application, click on: Addition . However, other steps may be added as one goes along according to the need expressed by the Developers. Similarly, Users from other countries may, in the near future, download paid applications, and this, according to the evolution of network coverage of SMS TrickPAY micropayment solution, Solution adopted by Yasmine Market for the payment of Apps. Select the icon of your Android App from a known location and validate the addition. 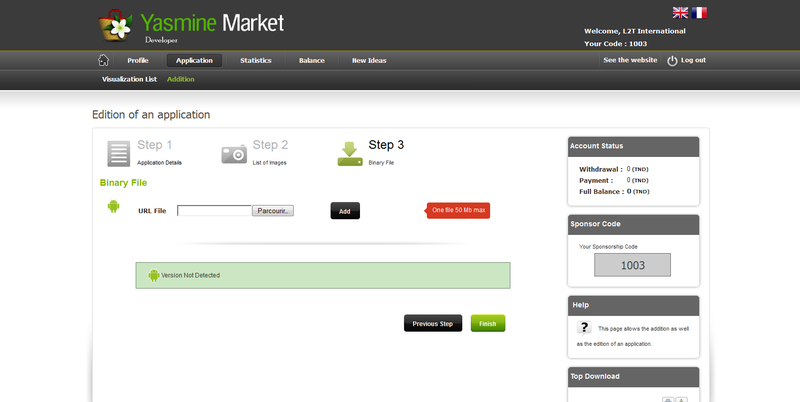 Select the Ad image of your application and validate the addition. Select Screen image and validate the addition. Max Number of Screen to import : 6 Max. To confirm the 3 different postulation steps of an Android application or game on Yasmine Market, the Developer must click on "Finish" button.